Stage 11 is another hilly affair, with several medium-length climbs in the first half and the Marche region’s short steep climbs in the second half. The course runs up the Passo del Termine (a new ascent) and reaches the Province of Ancona by way of the Muro di Filottrano (in Michele Scarponi’s hometown), with gradients reaching 14 percent. Next come two short and very steep climbs near Osimo leading up to the finish line in the medieval city center. Look for a puncheur to win, or a fast man from a small group. 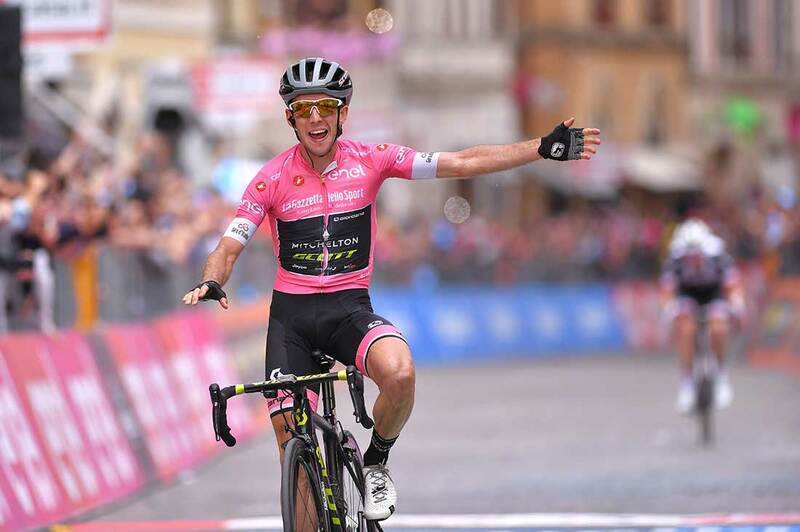 With a late attack up the steep, cobbled climb to Osimo, Simon Yates (Mitchelton-Scott) won his second stage in this Giro d’Italia Wednesday, fending off a fierce chase by Tom Dumoulin. Sunweb’s defending Dutch champion ended stage 11 in second. Davide Formolo (Bora-Hansgrohe) was third. With the win and the time bonuses, Yates extended his overall lead to 47 seconds over Dumoulin. Thibaut Pinot (Groupama-FDJ) held third on GC, 1:04 back. Four-time Tour de France champion Chris Froome (Sky) was again off the back, losing more time to his rivals. Yates said his team wasn’t too concerned with chasing back the early all-day attack that was spearheaded by Alessandro de Marchi (BMC) and Luis Leon Sanchez (Astana). Once the early attack was caught, Tim Wellens (Lotto Fix All) made his move. On a 16-percent cobbled climb up Via Costa del Borgo, former world cyclocross champion Zdenek Stybar (Quick-Step Floors) attacked first. He was joined by Wellens, who won stage 4. The duo rode into the final kicker to the finish with about 1.8km to go. Stybar couldn’t keep pace with Wellens, and the Belgian climbed on alone. However, his lead was not enough to survive the charging peloton. Wearing the leader’s pink jersey, Yates led the select group into another 16-percent gradient and rode clear, swiftly passing Wellens. Yates rode onto the final cobblestone section, through the gate of the old city wall, but he wasn’t in the clear. Defending champion Dumoulin had responded to the move and was in sight behind Yates. Although the gradient relented at the top, the cobblestones continued. It appeared that Dumoulin might be able to pull back the slight gap, but he ran out of road. Yates took the win by merely two seconds, along with a valuable time bonus for the victory. 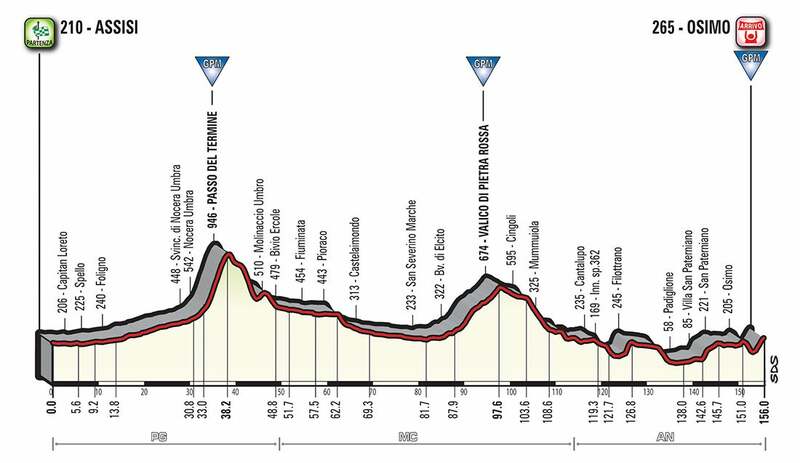 The GC riders should have a day of rest Thursday as stage 12 will be a particularly flat run to Imola, although it will be a long day at 214km.